Meredith Olinger is an artist living and working in Memphis, TN. Olinger works primarily with wallpaper of her own design. Her work deals with the dependence of art and design on each other, handmade versus digital production, and blurs the line between painting and installation. 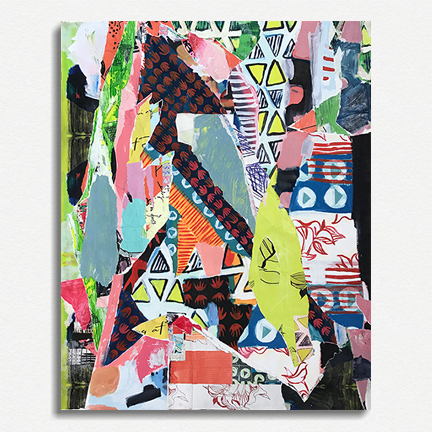 Olinger has been included in many group shows, most recently the Color of the Year Exhibition sponsored by Pantone, Studio Exchange: Memphis at Zeitgeist Gallery and the Art of the South Exhibition sponsored by Numbers: Inc. Magazine. Olinger holds a Masters of Fine Arts from the Memphis College of Art.